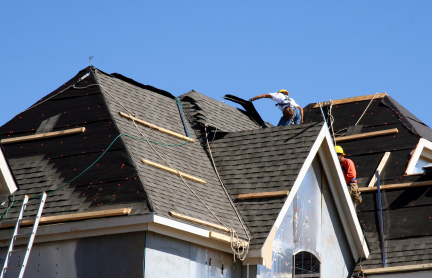 Need a Roofing Contractor in the Salem Area? Composite slate shingles are a choice for many homeowners and we offer a large selection of brands and styles to choose from, all at discount pricing. Whether it cedar, natural slate, composite slate, or tile, enjoy the "best of the best" with our expert consulting on the different brands and types. 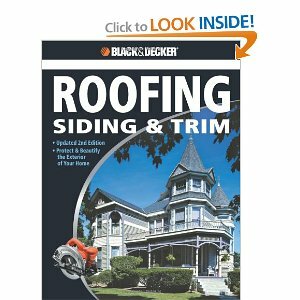 The Complete Guide To Roofing, Siding & Trim covers all traditional materials, from traditional wood lap siding, brick, concrete block, stucco, stone veneer and wooden shakes, to vinyl, raised metal roofing, and cement sidings. Important new tends in materials, like EPDM, architectural, fully bonded selvedge edge and pyramid shingles, are also discussed. In addition to complete installation information, the book includes comprehensive methods for repairing problems with existing surfaces, as well as routine finishing and refinishing information.